Elizabeth Edith Shaw, 69, is facing 12 counts of felony grand theft by embezzlement, as well as enhancements for theft of more than $500,000. Shaw allegedly embezzled more than $1 million from Windsor Construction between 2005 and 2016 while working as the company’s bookkeeper. On Monday, Shaw appeared in court for her second arraignment hearing. During the hearing, a judge granted a request by defense attorney Jay Peterson to allow Shaw to leave jail temporarily. 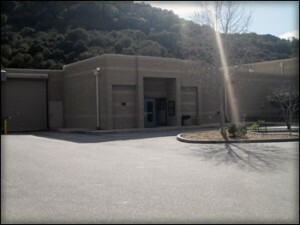 San Luis Obispo County prosecutors objected to the request, but it was still approved. Shaw was being held in San Luis Obispo County Jail with her bail set at $1 million. She is due to return to jail on May 8 following a third arraignment hearing. The former bookkeeper has yet to make a plea in her case. A detective’s affidavit states Shaw admitted to cashing forged company checks in order to pay her mortgage and other bills. If convicted of all counts, Shaw faces a maximum sentence of 16 years and four months in prison. This is insane! Replace this crazy judge. Commit the crime, and do the time. And this is why every business should have their books audited on a regular basis. I have heard this same story so many times. They start out nicking a few dollars, realize that nobody is paying attention, and before they know it, they have embezzled hundreds of thousands of dollars. And it seems as though in every instance it could have been easily detected with basic due diligence. The article says she has yet to make a plea to the charges. Wouldn’t making restitution to the victim constitute a guilty plea? Well now, that’s interesting. What personal assets would those be that would merit such a release? County records do not show any real estate held in the name of Elizabeth Edith Shaw. This 69-year-old must own some mighty fine jewels or vehicles or out of county real estate.